SCC’s annual foray into the white stuff!! Every year, we head to to Scotland for the SCC Winter meet which is always simply amazing – so it may come as no surprise that we are going again! We are going late Feb to climb some ice and generally play around in the snow. The scenery is breathtaking, so much so that poets and artists have been romanticising about it for 100’s of years!. To make the long trip up worth while we plan to stay 7 nights so we get plenty of climbing and hiking opportunity. This is a comfortable hostel with 18 bunk beds spread across 4 rooms. There are showers toilets, a drying room, lounge and fully functional kitchen. Bedding is provided. The hut is located within town so its just a short stroll to the shops and a pub. 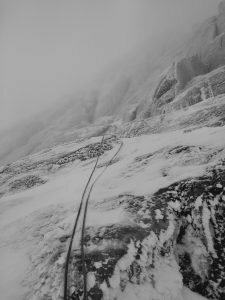 Regionally Newtonmore sits between the Cairngorms and the Nevis range which gives us the most options for exploiting the best climbing conditions. 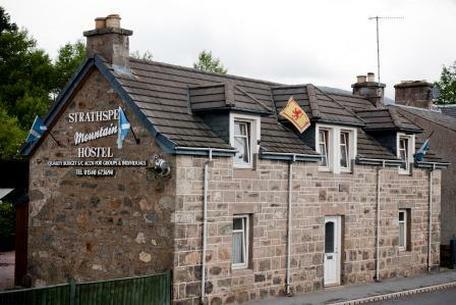 The hostel is within Newtonmore on the A36 ‘Main Street’. Postcode for sat-navs PH20 1DR. £90 for the 7 nights. (£45 deposit needed on booking). Car share: for a car it works out roughly £25 each for the return journey (Assuming 4 in a car, inc the M6 toll). Cost will vary from car to car so this is up to the drivers. Newtonmore is a reasonable 540 miles one way, or ~10 hrs drive. Please try to share the driving i.e. add at least 1 other driver to your insurance (usually free or very cheap). 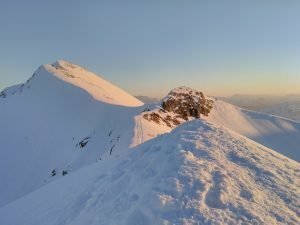 This is a winter meet where we will be winter mountaineering, winter climbing (mixed and ice) and winter hiking. Although this meet is open to all members it is essential that you have familiarised yourself at least with the basics of hiking in the mountains. As there will be experienced people there will be opportunity to climb with them, though it is worth asking first! Remember this is Scotland in winter. Please check the list carefully. Bring kit for VERY cold weather and if in doubt ask someone with experience before choosing gear! 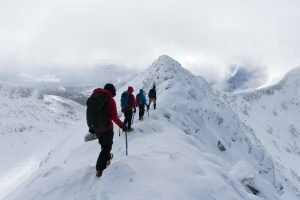 There are also plenty of resources out there to describe all the kit required for winter walking and winter climbing. Below is a kit-list that is essential. 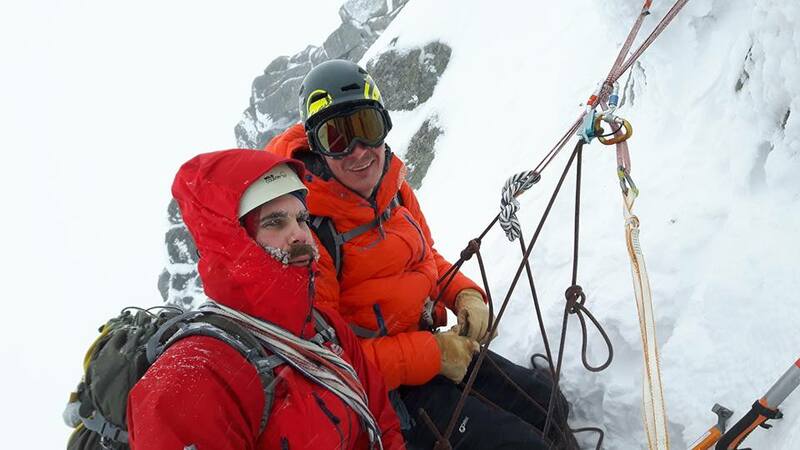 Helmet Absolutely essential for any winter climbing! Walking axe: These are relatively inexpensive (especially 2nd hand) but essential for hiking in winter. Make sure its T-rated eg the DMM Cirque as you can then use it for belays. If you don’t own one, are a beginner, and are just trying this out you really don’t need a brand new axe- UKC forums are usually full of 2nd hand gear for sale, esp winter kit! Ice axes for climbing (if you own more than one pair then I’m sure someone would be grateful if you would not mind lending them a set). The sound of a well placed axe embedding itself into the ice, the satisfaction of clipping in to an ice screw, the sheer adventure of it all and the fact you will feel like a hero when you summit are just a few of the delights that await. 2) Winter climbing rewards you with jaw dropping scenery. If you don’t fancy full blown ice climbing just yet, come along for the amazing hiking. 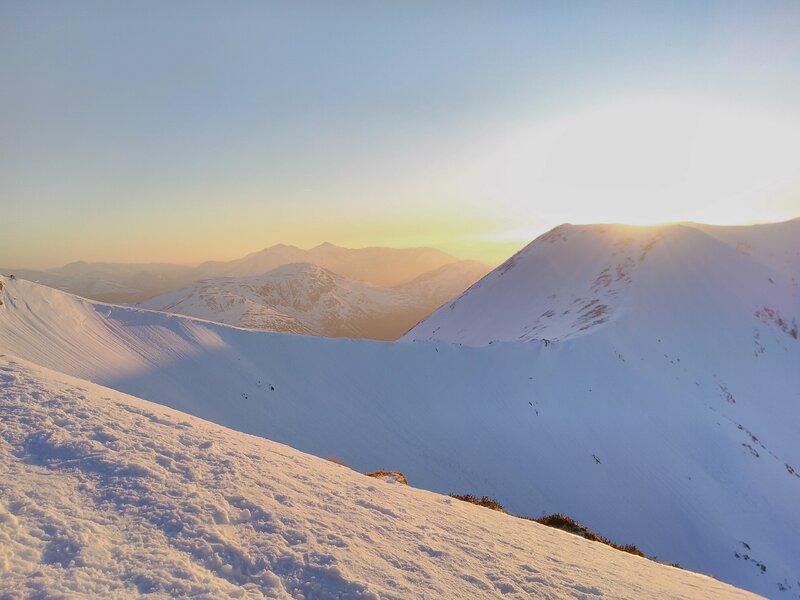 You will learn lots of skills and gain valuable experience which will help no matter what you get up to on the mountains. 6) Probably the most rewarding beer/pub dinner you will have when you have burned 4000 calories on the mountain. No Facebook, no emails – forget about the computer and enjoy life! 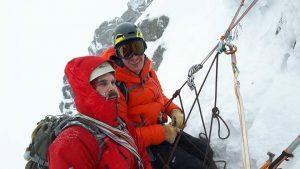 One can hire the necessary kit, or borrow, beg, steal… Check out UKC forums for 2nd hand tools, crampons etc for bargains.